Concord, CA – Factory Entertainment, Inc., announced today that the company has entered into a multi-year licensing agreement with Apple Corps Limited to once again produce collectibles based on the legendary musical group The Beatles and their landmark animated film, Yellow Submarine. All products will be available on Factory Entertainment’s website http://www.factoryent.com as well as from various online and brick and mortar retailers. 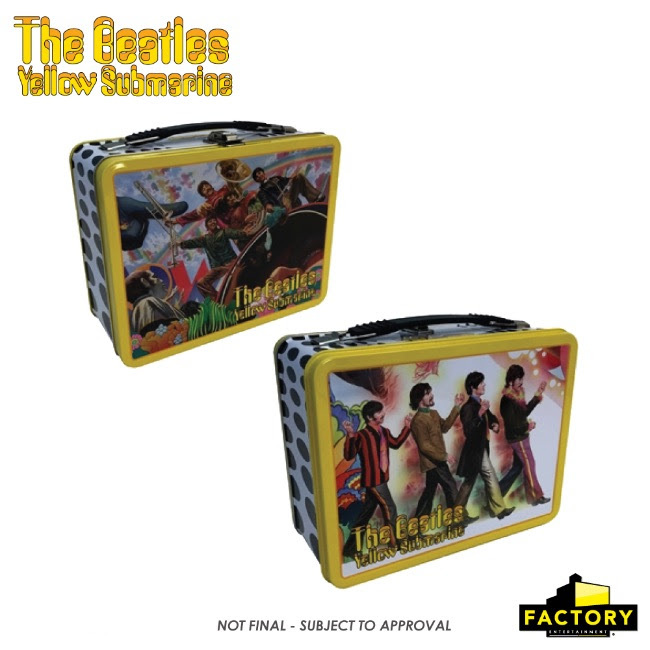 Factory Entertainment will unveil several Beatles and Yellow Submarine products at New York Toy Fair, booth # 5206. The deal was brokered by Bravado International Merchandising Group, The Beatles North American Agent. Factory Entertainment, Inc. is a leading manufacturer and distributor of high-quality licensed toys, collectibles and home goods featuring a wide variety of entertainment properties and pop culture personalities, including Star Trek, Harry Potter, DC Comics, Game Of Thrones, Monty Python, Men in Black, Ghostbusters, Universal Monsters, Jurassic World, Back to the Future, Jaws, Friday the 13th, Nightmare On Elm Street, the Goonies and many others. For all the latest product information, please visit www.factoryent.com.